By Appointment to Her Majesty. In 1849, Daniel Buchanan fashioned a watch for Queen Victoria’s presentation to her son, Edward, the Prince of Wales. 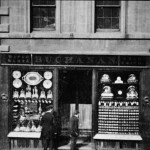 Although Daniel had already established a successful jewelry and diamond business in Glasgow, Scotland, the coveted award would not keep him from the land of opportunity. In 1871 he migrated to America with his wife and twelve children. 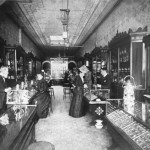 In the spring of 1878, Daniel Buchanan opened a watch repair and jewelry store in Petersburg, Virginia where it remained for over thirty years. In 1886, he moved to Richmond, leaving the Petersburg business in care of his son James. 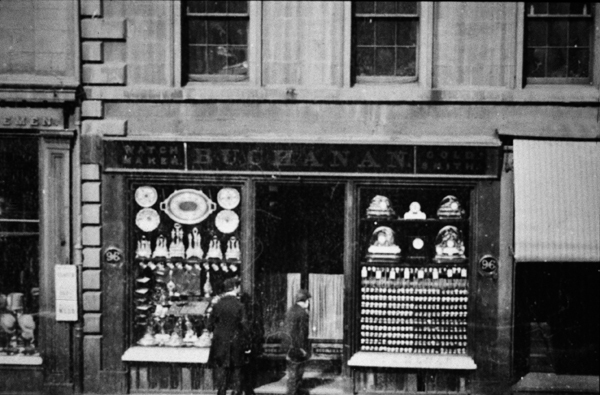 Once in Richmond, Daniel and another of his sons, David, established the firm of D. Buchanan & Son on Broad Street. 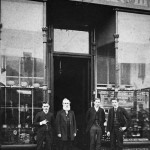 In 1907, grandson Samuel D. Hardy opened a branch of D. Buchanan & Sons in Norfolk on Granby Street. Eleven years later, a disastrous fire gutted the building. He reopened the store as Hardy’s Jewellers. Hardy’s remained on Granby street for 60 years with another 32 years at Wayside Village in a 1978 move to Virginia Beach. In 2010, Hardy’s relocated to their current location at TowneBank Pavilion Center II not far from the Virginia Beach oceanfront. In 1946, Samuel’s son and fourth generation of the family, George Buchanan Hardy, joined the Norfolk store. His focus on quality and design distinguished him from all other jewelers in the area. As an international board member of the American Gem Society during the 1960’s, Mr. Hardy was instrumental in setting the ethical standards for the industry which Hardy’s continues to embrace today. George’s daughter, Elizabeth, represents the fifth generation of this family-owned business. Her background, like that of her father’s, is well suited for a fine jewelry store. After graduating from the University of North Carolina, she moved to New York City for graduate work as a resident student at the Gemological Institute of America. Upon completing her degree, she stayed on as a senior staff gemologist in the New York laboratory while teaching graduate gemology. 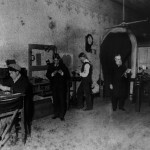 The history of Hardy’s is a special 160 year relationship of honesty and integrity between a family of jewelers and their customers. The Buchanan/Hardy family has always offered the best – from the time of the “Appointment to her Majesty Queen Victoria” to the present day. We invite you to become a part of this history. You’ll find classic designs alongside European and American innovative creations. Our antique and period jewelry collection is the finest in the area. Visit us soon.